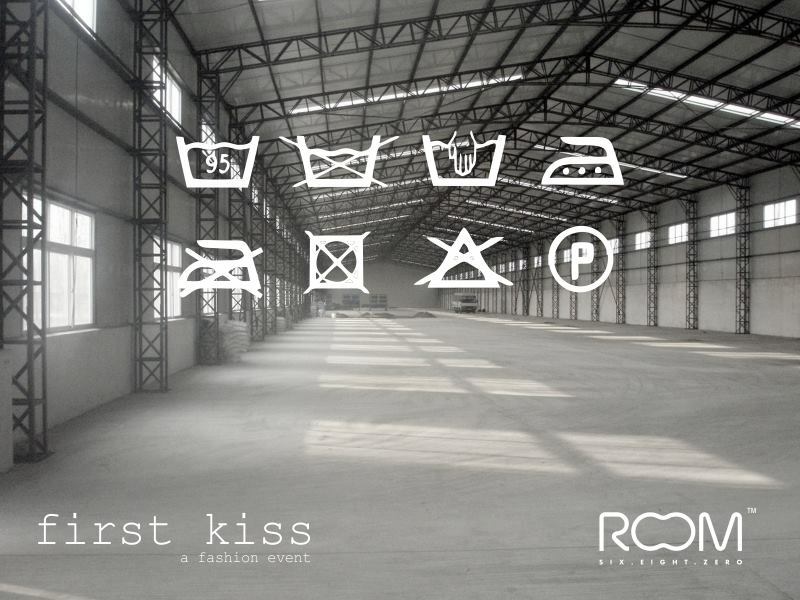 Melbourne, Australia fashion designer Danielle Fosberry hosted “First Kiss”. Danielle explained to me before the night about what was installed for all and had given me this quote on what the night was inspired by. 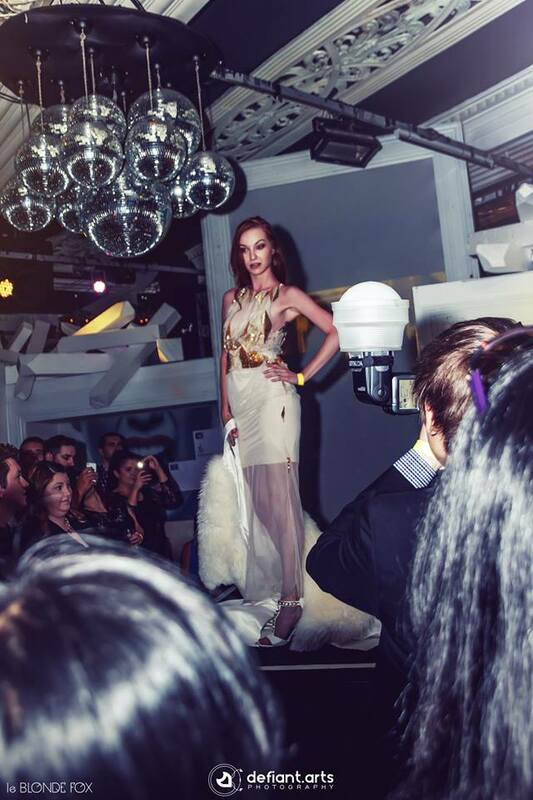 Showcasing 15 designers at Melbourne renowned nightclub Room 680. It was such an extraordinary and magical event to finish off the year. Unlike any other fashion event I have ever attended. This event was innovative and a creative one that will definitely be a memorable one to myself and all that attended. 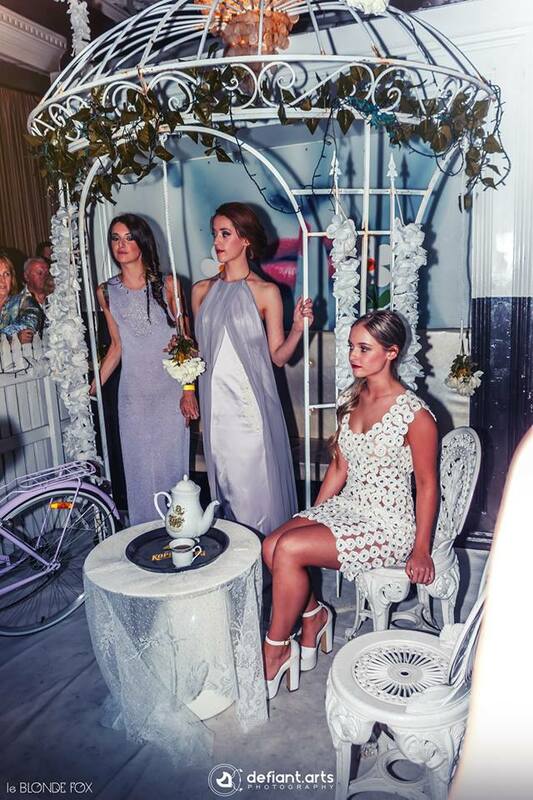 There were different sets designs and props around, ready for each local designer to showcase their collection. The club was transformed into a studio of art. Melbourne’s renowned make up artist Jessica Bell was one of the make up artist for the event. Creating make up looks back to back. I was able to get a sneaky peak to see her backstage! Which was great to see her style and techniques in action. 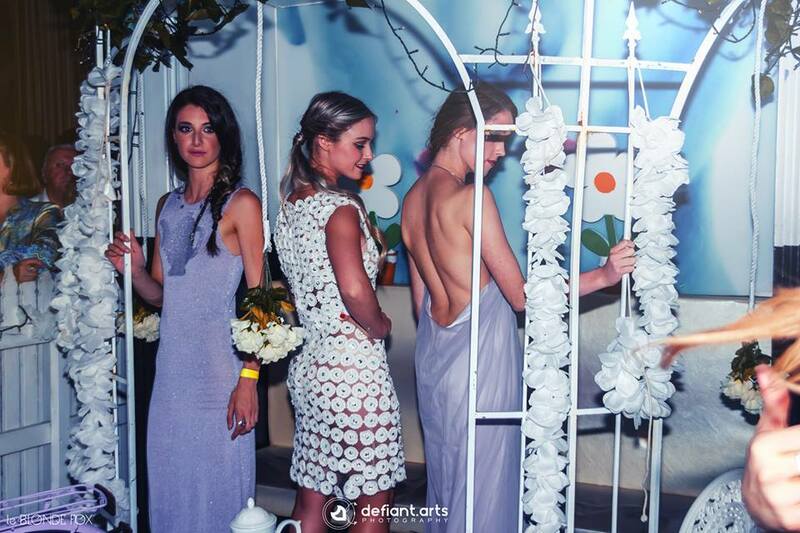 The event showcased 15 different local designers. 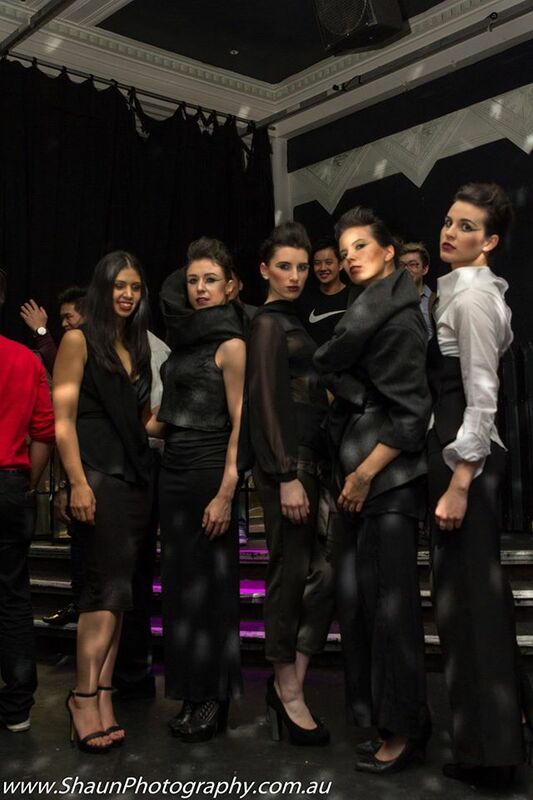 Ranging from students to graduates from various fashion schools in Melbourne. From short captivating performances and pop up installations that stimulated all senses through audio, visual and emotion. Each designer had different unique pop-up show installations that expressed each designer’s concept. Every performance was so different and unique in everyway. Each collection was presented in a timely order. One would finish and another would start there was never a dull moment at this event. I felt different emotions and mesmerized by the performance art pieces that were on display that night. All eyes were on each performance, as you were not able to take your eyes off the garments throughout the show. As I wrapped up for the night, walking outside in the brisk night warm air. The event left an everlasting impact on me not only creativity inspired but memorable, as I reminisced about it during the night just like my first kiss….. I interview some of the designers that contributed in the event .Check them out, as they express their idea concepts and how they went about their collection. How did you all come up with the idea and concept for this event? 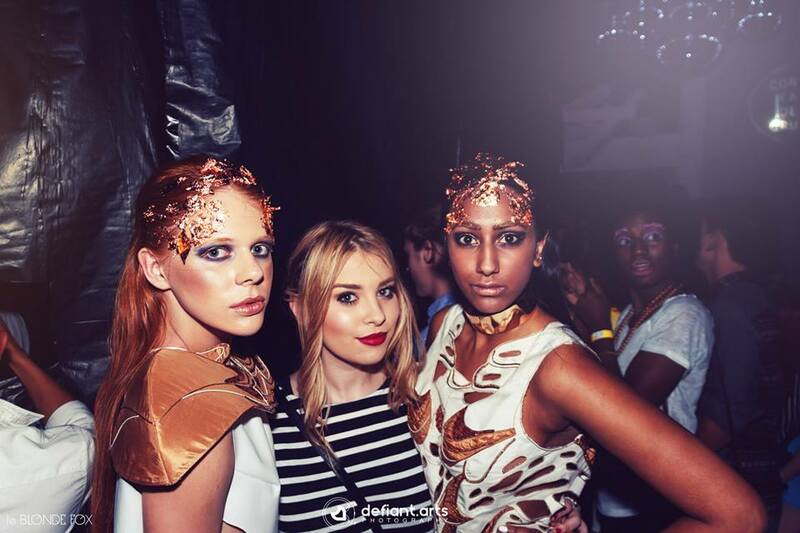 We wanted to create a very fun, performative and interactive fashion event. As most of the ideas and concepts become lost when presented on a runway. We wanted to give local talents around Melbourne the chance to collaborate on an event, as we feel that the possibilities are endless through collaborations, as everyone has such amazing ideas. It’s not everyday that you find an organization or venue that is willing to help support and promote local talents. Room680 has put their complete faith in everyone involved and has encouraged everyone to be as creative as they would like. What year are you currently in at RMIT? I have just completed my 3rd year of the RMIT’s Bachelor of Design (Fashion) Honours and will be entering my final year as of March. I have previously graduated from the RMIT Diploma of Advanced Fashion Design and Technology (as mentioned above) at the Brunswick campus, then transferred over to the Honours Degree. With your collection, how long did it take you to create? My collection consists of various pieces that I have created over my last 2 years of the RMIT City degree. Over the past few weeks, I then created various add-on garments to create entire looks. Did you have a theme for the collection you presented at the event? I personally did not have a theme in mind for my collection, as my style is constantly changing. I guess you could say that this collection is quite tailored, structured and slightly dark. It seems to be the style of clothing I have been attracted to lately. However, most of my work tends to consist of leather and structured silhouettes. What are your future goals and dreams for the fashion industry? I would ideally love to intern overseas for a large international label, possibly then work for them for a couple of years and then eventually start my own label. Fingers crossed! Advice for anyone who is currently studying fashion? Studying fashion requires a lot of hard work and dedication. You’re not ‘just sewing’ or ‘just drawing pretty pictures’ which is the opinions I often hear. If you love it and enjoy it, then hang in there as there will obviously be some tough moments, but it’s definitely worthwhile. I am currently studying Bachelor of Fashion Design (Honours) at RMIT University, in the city campus. I have just completed my 3rd year and will be working on my final graduate collection next year in 2015. What was your theme for your collection? How did you come up with the idea to use the materials you used and why? My theme was all about the fascinating changes in nature- emphasizing the journey from caterpillar to chrysalis (cocoon) and finally to butterfly. Therefore; I wanted to use materials, textures and colours which embodied this poetic story of a shift in structure, form, colour and persona. 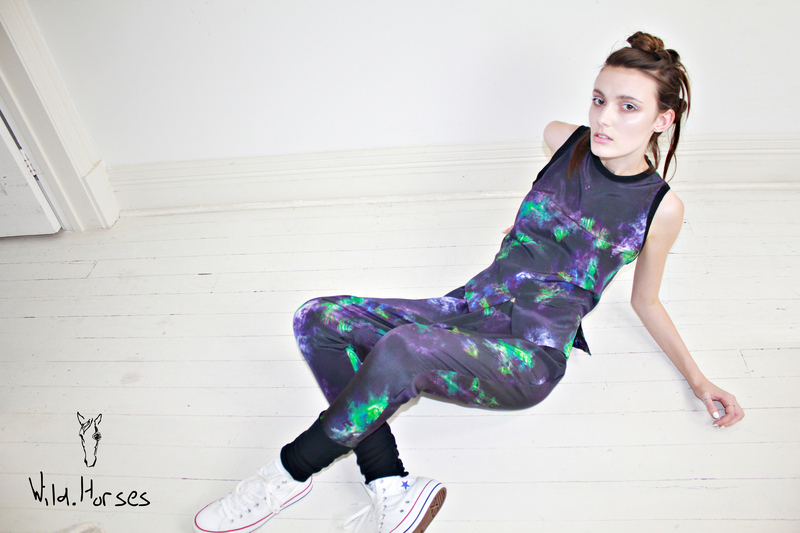 To show the varying tones within nature’s creations- I hand-dyed the green fabric used in the first caterpillar dress which exposed pattern and added depth and dimension; bringing the ‘creature’ to life! To mimic the texture of the caterpillar. I used a heat gun to create bubbled shibori on the green gown. The chrysalis garments signified the ethereal, delicate stage of the butterfly encased in the cocoon, vulnerability represented in the sheaths of tulle, delicate and transparent, sheer fabrics which encased the female form. Lastly, the butterfly garments were uplifting and vivaciously coloured – using patterns, structural forms and feathers to symbolize this new-found form that has just hatched and has been freed! Another contributing factor to the materials used in my designs; was the ease of movement that I had to ensure I provided for the models and dancers, especially. What was the process for creating your garments? In my fashion practice, process to me is just as vital; if not more important than the final product. The process of design is magical when I let my imagination go wild and pages come alive.. When fabric is manipulated and a transformation of shape and form takes place…and when a thought finally comes into fruition! It is why I am a designer. For this collection, I was under time pressure- having only about a week and a half to produce five out of the six garments I showcased. I began by trawling through my visual inspiration books filled with my research on metamorphosis. Sourcing the fabrics and trims sparks more inspiration as to what to create; and I begin to drape on the stand. I use quite an organic, spontaneous approach to design- surrendering to where the process takes me- often simultaneously working between draping on the stand to flat pattern-making and sketching. I used a mixture of hand-stitched finishes and details; as well as machine-made. Explain your idea and inspiration to have your collection presented so theatrical? I wanted to design a collection that will take the audience on a transformative journey of profound change; representing the transient beauty of nature through wearable art. A dreamlike concoction of vivid colours and inspired textures to let one’s imagination take flight…. representing the metamorphosis of a caterpillar to butterfly in an out-of-the-ordinary way. It had an important narrative to tell and I wanted the audience to really connect and feel. Fashion has the capability to move people…if you let it! I find awe and wonder in the simplest things in life; and wanted to produce a show that emphasises the often dismissed changes in the world that surrounds us- resulting in a more theatrical, exaggerated show. I have a background in the performing arts- and I thought that an event like ‘First Kiss’ would be the perfect opportunity to combine my two passions! 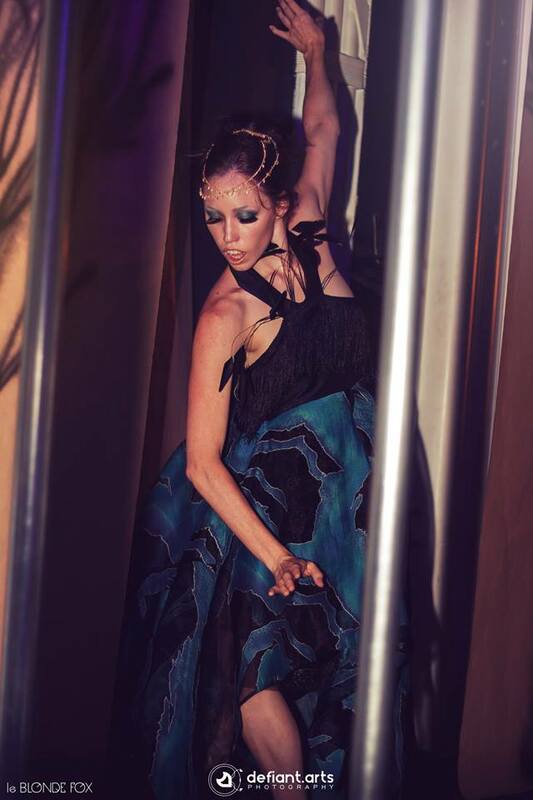 I teamed my wearable art, conceptual garments with an evocative mix of contemporary and lyrical dance to portray mood. I believe that music and dance is incredibly expressive- the idea of movement can speak louder than words and can entrance one into a fantastical world! 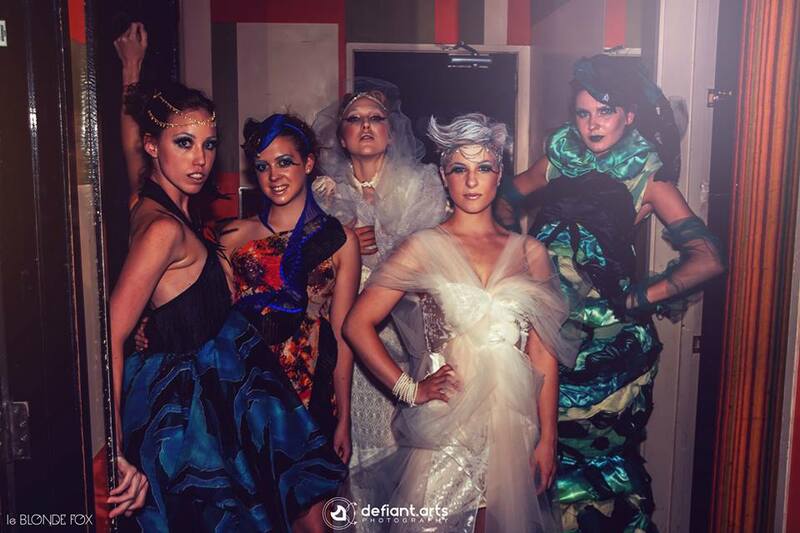 I wanted the garments themselves to have a personality- each portraying the three stages of metamorphosis: the quirky, elegant caterpillar, to the whimsical, delicate nature of the chrysalis….to the beautiful vibrancy of the newly freed butterfly. When the model or dancer put on the garment; my aim was for them to embody the character through how the garment made them feel. In the future, I endeavour to create my own fashion label. It’s something that I have dreamed of since I was young. 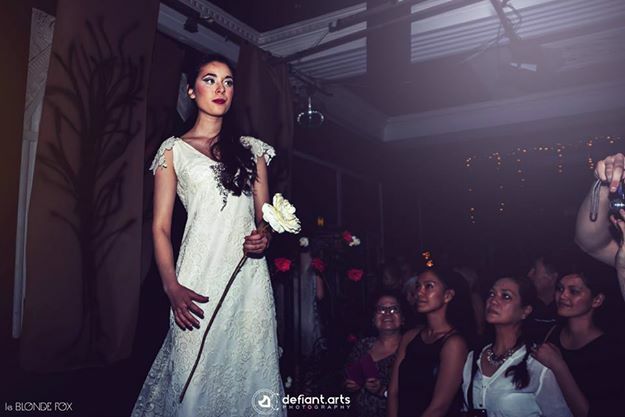 I am a very individual person and would love the freedom to establish my own unique mark in the local and international fashion industry. However, when I graduate I hope to travel overseas and work within the industry for other labels first to gain experience and skills that I hope to apply to my own label someday. You’ve graduated rmit with two courses under your belt and you specialise in wool construction! Tell us what does that entail? And when and how did you know you wanted to specialise in that area? I’ve graduated from two RMIT courses. The first I completed was the Associate Degree in Fashion Technology where I made the choice I become a knitwear major. I carried that through to my second course where I completed the Bachelor of Applied Science (Fashion Technology). At the beginning of the first course students we offered the choice to do main stream or the knitwear component after industry feedback to the university said there was a lack of skill in this area. I’ve always loved knitting, my grandmother taught me when I was young so I decided why not learn the industrial side of things. I am of the first ever to graduate from the knitwear major, I’m one of only 6. It’s similar to the main stream course however it’s more specialised and at certain times we had more classes and I feel, a heavier workload… But that’s just personal opinion! what inspired your collection? And during the event how did you come about your garden theme? It was so adorable I loved it! Thank you! Last year I visited Monet’s garden in France on a study tour with uni. I fell in love with the beauty and vibe of the place. while it was so visually rich there was this overwhelming feeling that I just can’t describe, it was luscious, full of time and just gorgeous. I used this inspiration an earlier collection which was actually lingerie and then carried it through to the dresses you seen on the night. I also drew inspiration from traditional handcrafts such as crochet, beading and of course knitting. As I have a strong passion for handcrafts it is always present in all my collections. What pros and cons did you encounter while creating such a beautiful piece? When I’m asked this it’s easy to think of the cons, being an end of year piece for uni I found it quiet stressful. 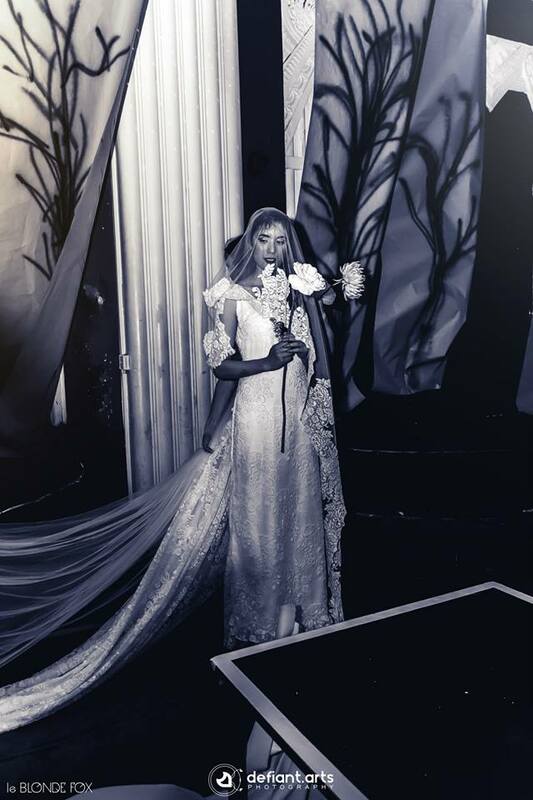 The dress is made from over 450 crochet flowers with a Swarovski crystal attached to the center of each and I had to work solely to tight dead lines as well as create the other pieces and of course all the rest that goes with completing an assessment. The pros are obviously the beauty of it. Hand made is always precious and while at times I did find it stressful it was worth it, I completed it… I made something timeless and gorgeous and that I’m extremely proud of. During the night you explained to me how you added the metallic yarn within your dress, explain to everyone how you did this? For this particular dress I created it on an industrial knitting machine which I worked closely with a knitwear technician to achieve. The metallic yarn is called lurex, which I used in a technique called plating. The dress was made using a whole garment machine- which means it literally came off the machine as a finished garment. So anyway, plating is achieved by running two end of lurex through the machine keeps on the inside of the fabric that is being knitted. We call this side the technical back. For the teapot motifs the stitches are reverse so that the backside comes through the front as so the silver picture of a teapot appears. It can be difficult to describe without using knitwear lingo, which won’t make sense to people with no industrial knit knowledge. I’ve just recently moved into a studio in the nicolous building on Swanston street. My plans are to work in industry to fund my dreams of running my label Casey Marie. What advice do you have for future students in the industry? My advice to students is to stay positive, keep true to yourself and focus on the bigger picture of getting yourself to where you want to be. 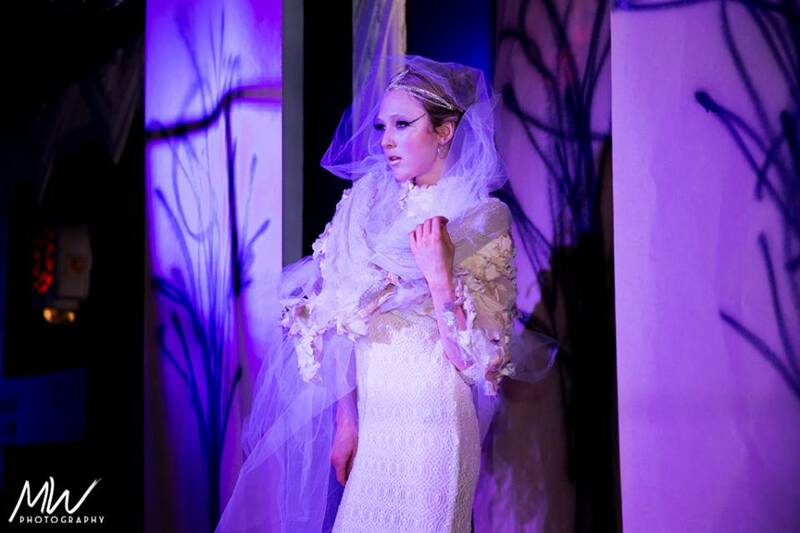 Meet fashion designer student Hayleah Ralph. Hayleah is inspired by all things fantasy and mystical. Having always been surrounded by Art at a young age, her childhood days were filled with countless art and craft activities. She was encouraged to express herself and think outside the box and question normality. Now as a designer Her imagination runs wild and free. She strongly encourages the expression of ones self through fashion and to be the main character of your own fairy tail. 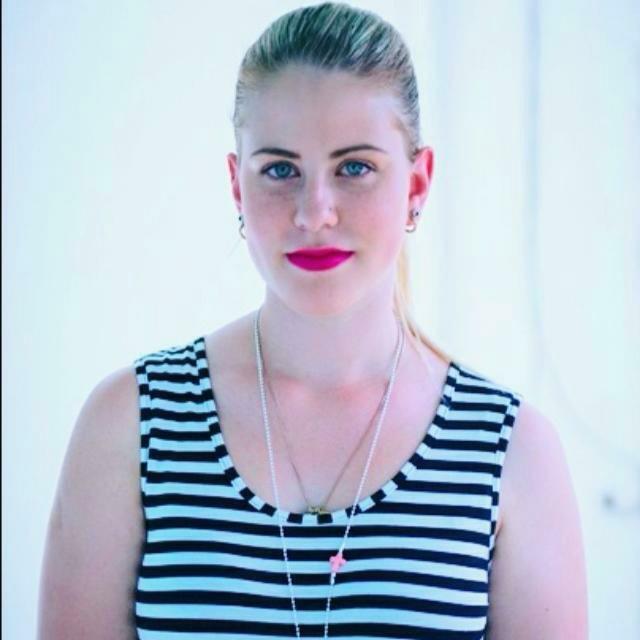 Hayleah is finalising her studies at Academy of Design (Bachelor in Design Arts Majoring in Fashion Design) Inspiring her to create her own fashion label right here in Melbourne called Delightful Darling. Her creations are marvellously unique wholly inspired and based upon fairytale books. I was thrilled to collaborate with Hayleah and her collection, it is based on “The Folk of the Faraway Tree” by Enid Blyton. How long have you wanted a career in fashion? Many designers have dreamt of being a designer since when they were little, but for me it was right at the end of year twelve. When I was choosing what university courses to apply for. I have always enjoyed being creative and dressing up but it wasn’t until then that I really considered a career in fashion. “Life itself is the most wonderful fairytale.” Delightful Darling aims to embody and share the essence of this statement with the world. Specialising in feminine aesthetic and child like details. The label is all about expressing yourself and having a play with your own look. The collection is exceptionally versatile; incorporating many reversible pieces. This creating ultimate wear ability and allowing the customer to tailor the collection to their own personal style. You’re currently a student at academy of design in your final year of fashion design , tell us more about your current experience with the academy of design and what you have achieved since attending. Through out my time at the Academy I’ve been encouraged to really push myself as a creative,br I feel this has shaped me into the designer I am today. Last year I was lucky enough to be selected for a scholarship with a group of nine other students. I traveled to Paris and London on a two week study. This experience was a huge eye opener for me because i had experienced so much culture and exciting opportunities with the scholarship. 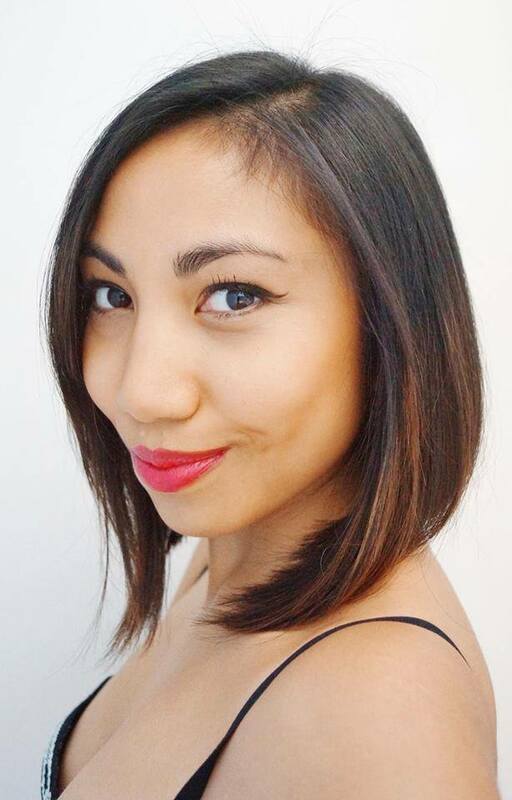 This year I also asked to participate in “ A Capital Collection “ runway show as part of the Virgin Australia Melbourne Fashion Festival cultural program. I was asked to create two looks based on the 60’s. This was a great event as it allowed me to network with other creative people. How did you go about sourcing your material for this collection? A lot of research!! I used utilised websites such as aliexpress and alibaba to help me out. What inspires you with your brand? I tend to find my inspiration for Delightful Darling through children’s story books. The launch collection is based on “The Folk of the Faraway Tree” by Enid Blyton. The clothes incorporate many hidden details and features like The Enchanted Forrest itself. I aim to carry the story book theme through out all future collections and base every new collection on a different story book. 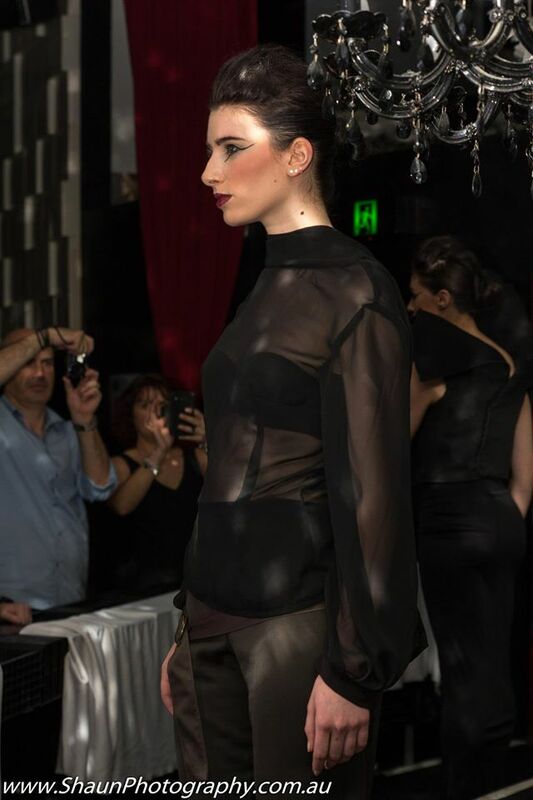 This collection you created something very different with your garments! Tell us. 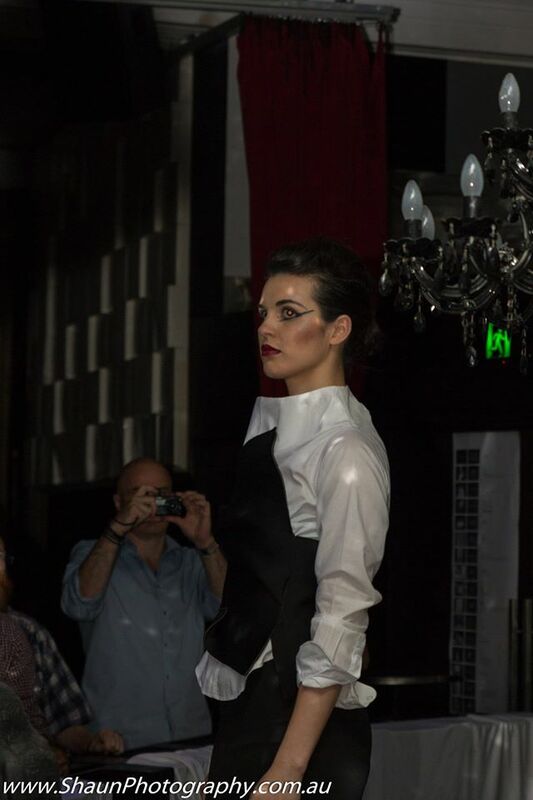 The collection incorporates some detachable accessories such as cuffs and collars. This adding to the wear ability of the collection and also a feminine touch to any outfit . These accessories also carry their own surprise whimsical feature, they are scented with Jasmine. When these accessories are purchased they also come with a small bottle of scented detergent for them to be hand washed with to reinforce the scent. As a designer I gain my inspiration from many places. I really like femininity and anything bright and colourful. I love Spring afternoons and fairytales. I remember standing in Lincraft once and getting overly excited about this beautiful rainbow chiffon material that I found. It had immediately reminded me of a butterfly that I had seen, i knew at that moment i had to have it and create something out of it. I ended up buying the whole ten meters that was left of it! Have you completed any internship? Last year I interned for nine weeks at Megan Park. It was a great insight into the industry and networking opportunity. What are your goals would you like to be an independent brand or work for a brand? My goal is to develop my label Delightful Darling over the next few years while working for an established designer within the industry to build up my experience. Then ultimately I’d love to work full time on my own independent label. What fashion designers do you look up to? There are so many designers that I look up to. 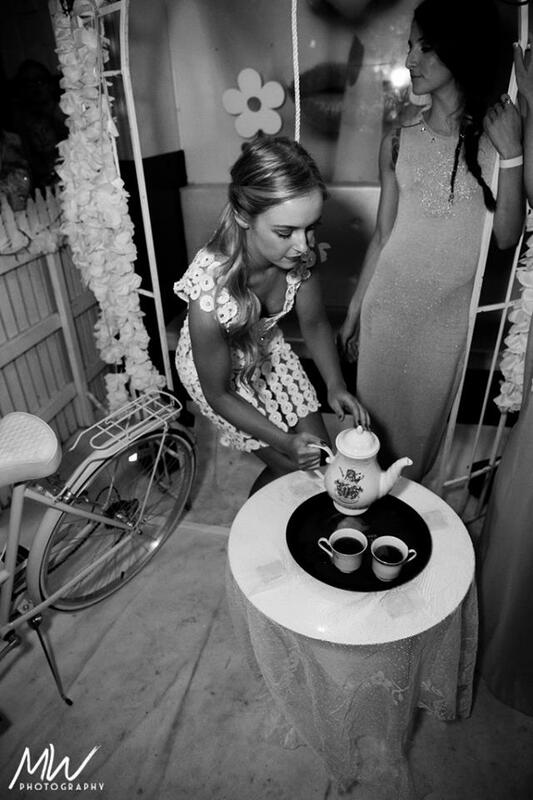 One in particular is Melbourne based designer Petrova Hammond, who is the head designer for “Lady Petrova”. I really admire her outlook on the fashion industry and her feminine aesthetic. I actually invited her to the “A Capital Collection” runway that I participated it at the beginning of the year. It was a great opportunity to have a chat to her and hear her advise. I have also invited her to my graduate show at the end of this year and am excited to have her view my collection. What are your future plans do you wish to achieve? I would love to have Petrova stock the Delightful Darling label in her boutique . This would be a great achievement for me as I feel the label it extremely suited to that environment. I would also like to travel some more and experience all that life has to offer. Never let an opportunity pass you by! Office is attached to our home as we have two young children. Usual day is wake up 6am, organize kids for school. The day – answer urgent emails, gym, write a to do list of the day and sometimes week/month, try to complete that list! Meeting, appointments throughout the day about up and coming shows, shoots, collections. And if it’s that time of year where we need to organize the next range, we would be in the studio most days pattern making, designing, toiling and sampling. Calling and inquiring a lot of businesses in what they do. 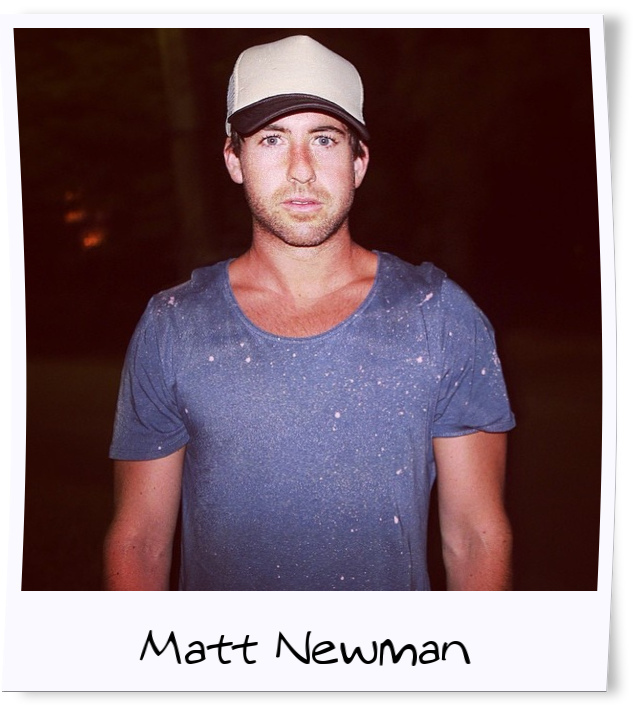 Matt Newman created ONEBYONE the label way before it was the popular renowned street wear brand it is today. Matt was fresh out of completing his Diploma in Graphic Art and Diploma in Graphic Design. Matt originally started his brand by focusing on creating board shorts with an outcome to eventually be sponsoring extreme sport and water sport brands. Today his ONEBYONE street wear company was recreated into the world of fashion. His style is out of this world and there is much meaning behind his brand along with his different themes with each season. He is a man who breathes for summer with a seaside lifestyle. His outlook on life seeps through his creative ideas in his clothing. Providing the image of his brand it has today. What is your label about, I’ve noticed with a few things with ONEBYONE is that you have a strong theme having in your videos for each season; tell us more about that and your story. My ONEBYONE label does have a theme to it. If you watch the videos we always use the same models in each film so that you feel apart of the story and can visualize what is happening each season. It’s kind of like a runaway love story in each season. Each season brings something new such as a change, new beginning the way life really is. Life always changes as well as clothing and fashion. My brand is a journey through the themes. When I had first started ONEBYONE, I had focused my brand as only the intention of creating just surfboard shorts. This stopped quickly as I didn’t want to put in a genre. I could see the industry was changing as to when I first started my brand. Rip curl, Billabong and other big brands were being out grown by street wear brands. If I kept creating surf wear my brand would eventually die out, I had to develop my range further to become street wear brand. When I converted my brand into street wear I wanted to stand out and be more adventurous than other brands. All my seasons have themes and this corresponds with the seasons. My usual day is talking to stores, dealing with manufactures, working daily on designing and looking after my brands image. Making sure production is on track. I’m already ordering for next winter 2015! Writing and replying to emails, PR and searching for fashion bloggers who I can collaborate with. Then designing at night, sometimes till 12am it’s the only way I get into the zone I cut myself from everything and make that commitment at night. No I didn’t study fashion. My favorite part is seeing someone wear my label. If its out in nightclubs, beaches or down the street. Seeing your brand out and about gives me a rewarding feeling about myself and the brand. The materials I use is a cotton viscose. 55% cotton 45% viscose. This makes the material feel very soft, In fact it’s what people notice when they come into store and touch our clothing. It also fits nice as well comes out of the wash without damaged to the garments. The quality is better than your normal cotton t-shirt and the quality is important when you purchase anything in stores and online. How many in you’re team? Three part time and one full time around up to six people when the store is open at Philip Island in the summer. The brand is constantly growing and expanding there could be more employees in the future! It started as a hobby, I would dedicate long nights without making any money at the start. Anything that I did profit I would put it all back into my brand. From hard work and dedication is where I got to where my label is today. I tend to have a theme in each collection. Sometimes it can relate to what’s currently going on in my life at the time. Sometimes it can as well be reflecting about the summer that has just past. Emotions as well come to play with each theme and collections are part of that. I just can’t come up with the collection straight away. Life’s journey is what makes my ideas come to life or where I am traveling at the time. Such as my pervious collection was called “Lost Heaven” That reflected on how I traveled to Thailand. It’s just all about my current situation and what is happening around me will reflect straight into that season as well a mix with current trends. Well, I say 16-35 but to be honest as I mature the brand matures. So it grows with me along with the target markets. Well normally I buy samples and from overseas then I do some quality assurance measures on them. Washing them multiple times seeing how it takes. Then from there I get a feel for what’s in trend and I create my own look. I normally send over the trade sketch to china to create the sample that is reproduced with my own unique touches to it. An example is that I liked a jumper that fitted well it but it was produced with polyester but I wanted to make in different material. So I sent swatches of material that I prefer. Then I create a jumper that will match the fabric and add my own special touch to it to make it unique. Matt how did you learn about fabrics? I threw myself in the deep end and taught myself about fabrics. I learnt on the way with creating my brand and when you create something that you love and passionate about, you become very determined to learn everything you can to pursue your dream. The product is designed by me in Australia. Final products are made in China. My most current achievements are often being the most popular/top seller brand on the iconic. Which is fantastic as you know they have more than 250 male brands on the iconic and to be top seller is absolutely the best feeling. I am really proud about my brand and knowing that the public loves it really makes me feel I’ve achieved a great outcome! As well opening up my own store down at Phillip Island, which has been around for about 5 years now. How many years did it take for your idea to hit reality and start How long did it take for your brand to become the strong brand it is today? When I first started off business was booming in retail, it was a very easy environment to sell clothes to stores before Recession hit. When I first started people had money to spend, Chapel street was booming, Bridge Road had shops everywhere. During recession it became a really tough time for retail. It first affected with surf wear shops and then moved on to the other fashion brands. No one was taking on new brands onboard, I had to restructure everything and re-born my brand in a tougher environment. The retail market is a whole different ball game, I had to make sure I could keep up with my competitors in this new environment. Who are your inspirations? What Fashion designers who you look up to? My inspiration and who I look up to happens when I go to Hong Kong yearly. The big brands there are just so incredible especially the window displays there such as H&M and Louis Vuitton are amazing. Checking out the street wear too whilst I’m there really give me an insight to new ideas for the brand. And lastly any advice for people who want to get into the fashion industry? If you know what your up for and have a passion and love for designing then go for it. Also another word of advice is that you have to put in the hard yards and dedicate your life before you start making any profit. 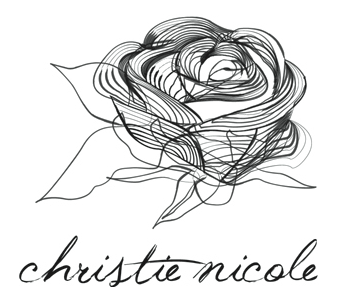 Become acquainted with flair fashion designer Christie Nicole Trowbridge. A pipedream that blossomed into her own label at the youthful age of 23 years. Completing a Bachelor of Design in fashion, Christie landed the grand opportunity of an internship with one of the finest fashion icons of the century, Karen Walker. 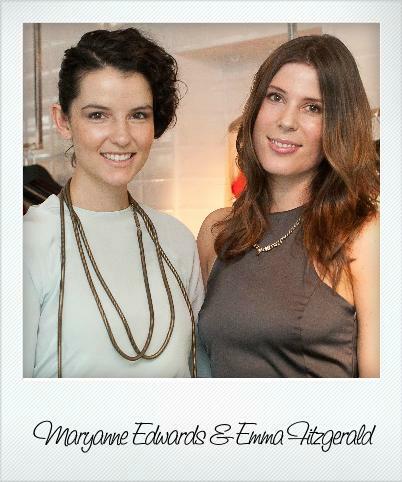 Fashion Designers Maryanne Edwards and Emma Fitzgerald consorted the discovery made in 2009, namely, ‘Wonders Cease’. 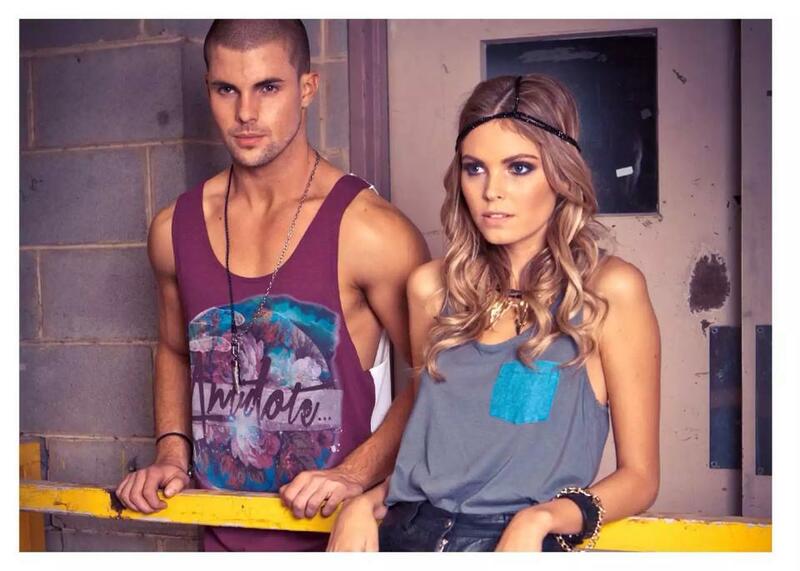 Having both studied at South Sydney Institute of TAFE a diploma in Fashion Design, where in fact they had both met at. 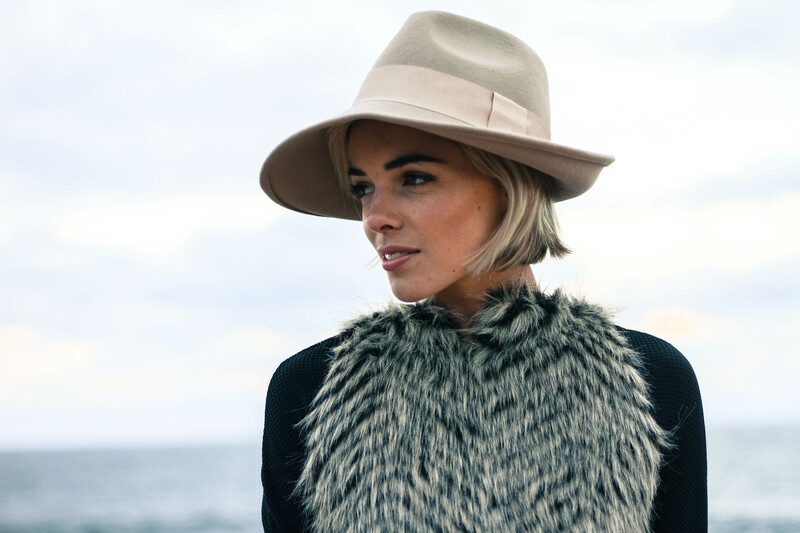 Both having an aim of their mid to high-end womenswear label is to create pieces that are boutique-exclusive, financially accessible and make the wearer feel fashion forward yet timelessly chic. Wonders cease is gradually becoming known for its signature design of delicate handwriting of sophisticated artless shapes are carefully crafted on feature fabrics. 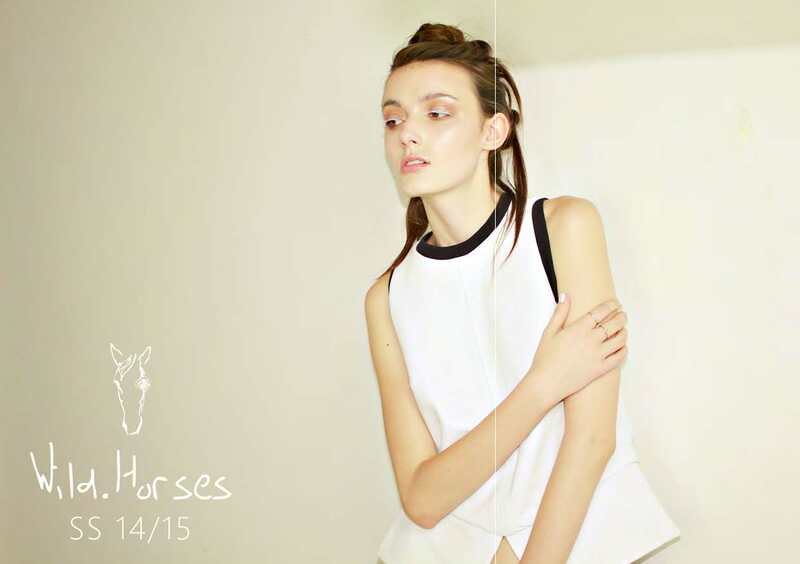 An affordable chic wardrobe with the exclusivity of a silent screen goddess. The name wonder cease orginated from Emma, she had read somewhere ‘What if wonders cease?’ emma and I were discussing that idea and decided that it wouldn’t be such a bad thing. If everything we planned for turned out exactly the way it was expected then in essence you could create your own best effort you can and accepting what comes out of it. 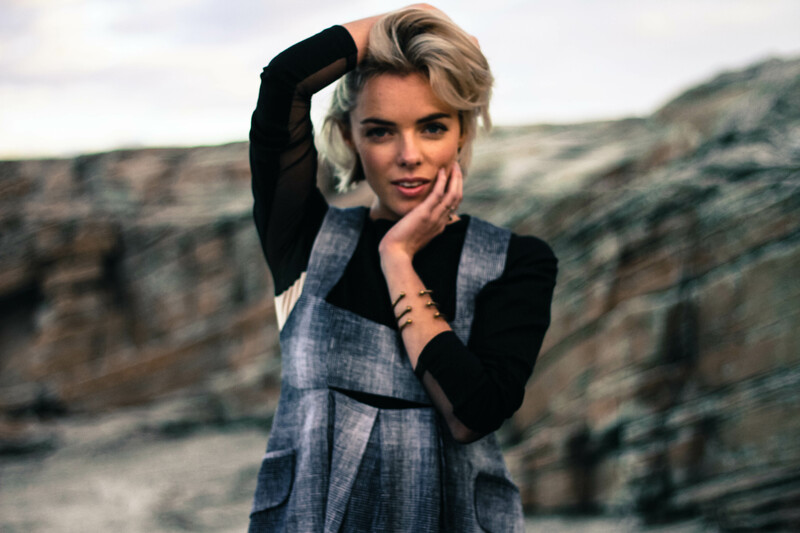 Not wanting to conquer the world, the couturiers aspiration is to progressively pace the label controllably and remain true to their vision that is too establish a successful fashion label that prides itself on quality design, fabrics and workmanship (on Australian shores). To be stocked in a handful of great multi-label boutiques in each state of Australia would be ideal with the future vision of opening our own store or a few one day. I was grateful to interview this establish successful fashion label that prides itself on quality design, fabrics and workmanship stocked on Australian shores .As well Congratulations, Maryanne and Emma as the winners for ’Best Emerging Designer’ at ‘The Fashion Forward Festival’ Sydney, May 2010. It’s about quality, in craftsmanship and fabrication. 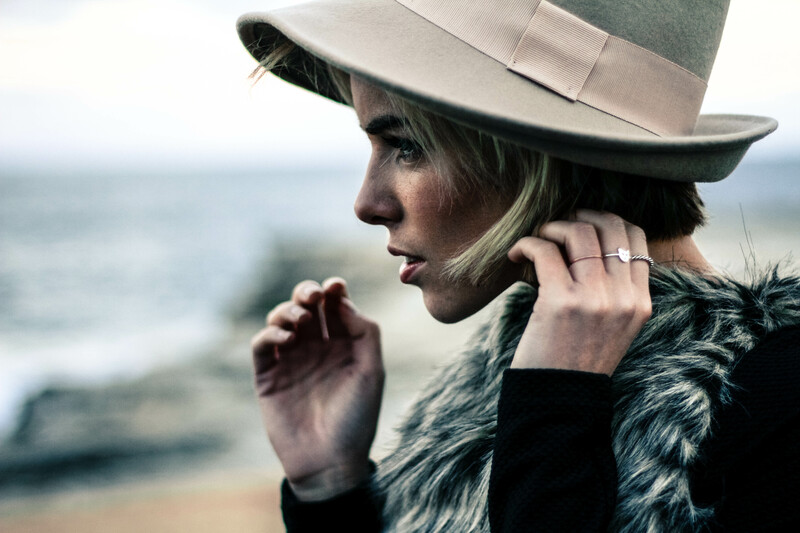 We believe in buying clothes to be worn again and again so our pieces have a timeless appeal to them. They also feature a detail or texture that makes them unique, timeless doesn’t have to equal boring. We believe that clothes, and everything, should be crafted with love and as such maintain a close relationship with our makers. There is no usual day in a small business, Emma and I both juggle part-time jobs as well as our label. We work from our homes on patterns and designs and we dash between makers, fabric agents, boutiques with the mobile office. The role is very cyclical too so it just depends where we are up to in the creating/marketing process. 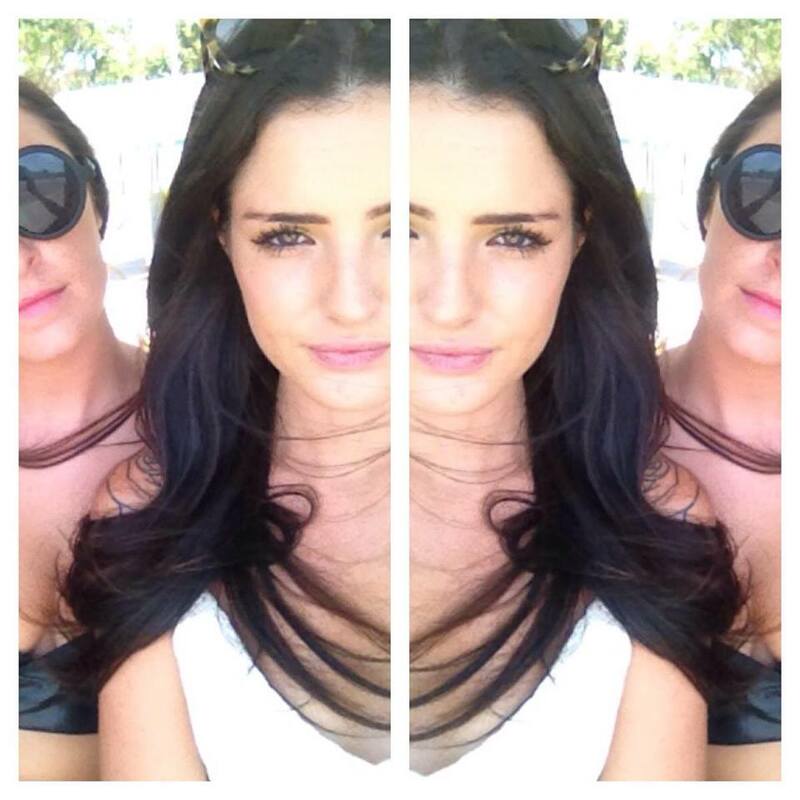 We both studied at South Sydney Institute of TAFE a diploma in Fashion Design, it’s where we met in fact. It’s really a wonderful feeling when you see friends or customers wearing and loving your creations. Knowing that they have been ethically made in superior fabrics, encouraging quality over quantity makes me happy. Doing shoots or shows is exciting too when the clothes come to life on a body. How did you select the you used? Very instinctually, we visit our agents to view the collections and just pull anything that jumps out, we love to use natural fibres so we tend to sort a bit by taking out any synthetics that have caught our eye. Sometimes we have particular fabrics in mind but often we evolve the design as we fabric shop. It was very much an organic thing, Emma and I were both in a place of wanting to try something new than the roles we were working in and so decided to create one collection just for the fun of it. It was not really our intention to create a business but rather we just kept designing and exploring ways of marketing and it evolved into the brand it is now. We put together a tight capsule of about 20 pieces, we had a show at a gallery with industry, friends and family, we took orders. Just 2 really plus everyone we outsource. Every time we designed a new collection we explored new avenues of marketing and sales, we did shows, shoots, pop-up stores, launch parties. The creative process is similar, each season it gets easier to come up with the new range as the brand establishes a signature style. We love travel, we have been to Tokyo several times plus NYC and Bali together. Always those trips provide great inspiration as well as watching the international shows online, but it’s not necessary as such – we tend to just design from a place of what’s the piece we want in our wardrobe now? or what’s the new version of a favourite style from last collection? Often the fabric does the talking, a style just comes to mind straight away. Women like us, aged 25-40. Women with an eye for quality and craftsmanship, smart buyers that want something unique but not heavily trend focused, buying pieces for longevity as well as fun. Our most recent collection was made in Bali where we were based for a few months developing it with our factory there, all collections prior were made here in Sydney. Fashion week was a highlight for sure, and landing a partnership with thegrandsocial.com. I think as soon as you set your mind on something it becomes a reality, we just wanting to create a collection so we did. Every season you start again in terms of getting it out to the customer so it is hard to build a brand when you’re producing physical and seasonal items. Of course, there are difficulties in anything you put effort into. In creating it could be that you really have a fabric in mind and it’s just not out there, or something looks great as a sketch but just doesn’t translate 3 dimensionally. In production – we haven’t had any disasters as such (thank goodness) just little things, it’s important to be as specific as possible with everything narrowing the margins of error. I worked for Cue on their label Veronika Maine as a designer. For now we are actually having a break in the designing while we clear some stock from past seasons, we just reshot some pieces from last winter, it’s fun to restyle and freshen up our image gallery. We love Nicholas Ghesquiere especially while he was at Balenciaga, we also love Alexander Wang and now he does Balenciaga! Stella McCartney, The Row, Celine, Givenchy, Jil Sander. I feel like anything goes these days, it’s never been a big interest of mine to predict trends and I think it narrows creativity when you try to work that way. Hopefully the trend is toward ethically made quality garments. If design is something you love to do then go for it, we must all spend time doing what lights us up. Seeing my ideas come to life….I love walking down the street and seeing someone in one of our garments. All three of us contribute from different inspirations. It can come from anywhere…. A holiday in Bali, a print, a feeling….